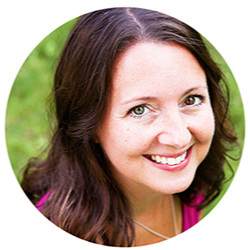 This is Week #44 of my 2011 cooking challenge! Click here to view all recipes from this challenge. All recipes created for this challenge come from the Food and Wine Annual Cookbook 2010: An Entire Year of Recipes. Yes, it is November and I am still making salads. If you haven't learned by now, salads are timeless in my world. They are not just a summer-time food! 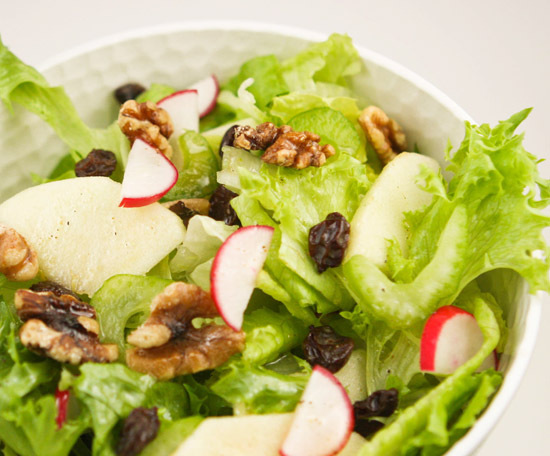 So, in between my very fall-appropriate apple and baking recipes, I will share this salad with you. 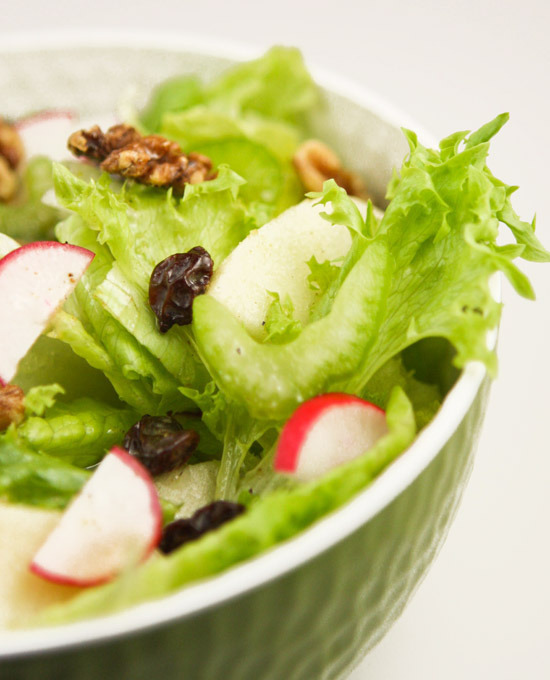 It is a savory waldorf salad with a bit of a lemony twist. I loved it. Of course I did! Preheat your oven to 350 degrees F. Spread 1/2 cup walnut halves (2 ounces) in a pie plate and toast for about 8 minutes, until golden and fragrant. Let the nuts cool and break into pieces. Preheat the oven to 350 degrees F. Spread the walnuts in a pie plate and toast for about 8 minutes, until golden and fragrant. Let the nuts cool, then break into pieces. Meanwhile, in a large bowl, combine the shallot and lemon zest with the lemon juice and vinegar. Whisk in the canola and walnut oils and the cumin. Season the dressing with salt and pepper. 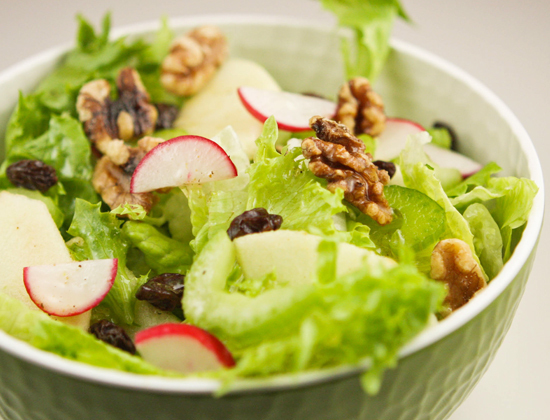 Add the lettuce to the bowl along with the walnuts, radishes, celery hearts and leaves, frisee, raisins and apple. Toss well and serve.